Kasur (also spelt Qasur), a small town near Lahore, Pakistan, is in a region which was famous for the ‘melody in its air and soil’. A large number of Sufi saints spread their message of love in the area. Their lives were imbued with music and they often presided over baithaks of rich classical fare. The great poet Bulleh Shah was from these parts and gave to the world his priceless sufiana kalam. The region saw the advent and growth of a great cultural era in which the dhrupad and khayal styles flourished along with the beautiful kafi, tappa and the rich folk music of the region. It was from this ambience that Ustad Ali Baksh Khan and Ustad Kale Khan, with their abundant talent, brought to Patiala the fragrance, beauty and elegance of their own well established gharana of Kasur. From this fusion, emerged a powerful and melodious gayaki which was emphasized, clear and with meaningful bols, sparkling tans, intricate layakari and gamak. Genres of thumri and ghazal have a special place in this gharana. At the turn of the 20th century, Ali Baksh Khan was blessed with a son who was later to become the legendary Ustad Bade Ghulam Ali Khan. Other sons followed – Ustad Barkat Ali Khan, Ustad Mubarak Ali Khan and Ustad Aman Ali Khan. All these brothers, greatly inspired by the beauty of their inherited style, made their own invaluable Patiala-Kasur gayaki. Ustad Bade Ghulam Ali Khan (1901-1968) was a giant in the world of music who brought the Patiala-Kasur gayaki to the international stage. His singing was chiseled by years of devoted riyaz and infused with his phenomenal creativity in an endless striving towards perfection. His was a full throated, highly cultivated and melodious voice in which he rendered intricate layakari with ease and dignified finesse. Bade Ghulam Ali Khan’s contribution to the khayal thumri form was phenomenal and full of creativity. He also created the magnificent Surmandal, an instrument that has today become popular with most leading vocalists of the country. I cant emphasize it enough your efforts to consolidate all these master pieces in one place. 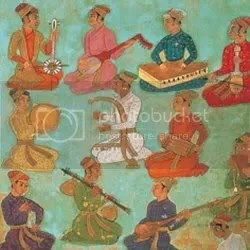 Why aren’t Ustad Barkat Ali Khansahib and Ustad Munawar Ali Khansahib’s recordings here?And Ustad Raza Ali Khan?